I’ve been crafting a lot of gifts lately, so it will be a week or two before new pictures will be posted. In the meantime, here is someone else’s awesome creation made from granny squares. The simplicity of using granny squares in such a way is ingenious to me. Who knew granny squares could be so awesome? 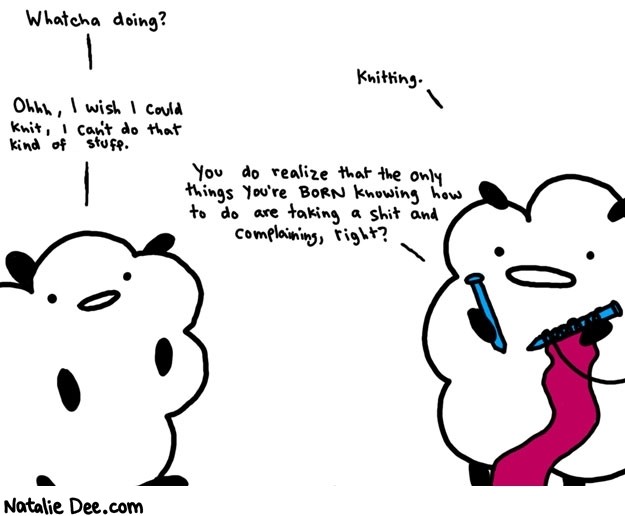 Definitely makes me wish I was a better crocheter. 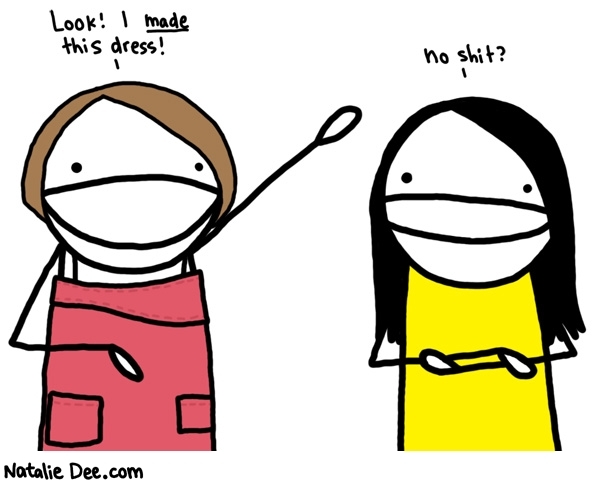 Every now and then I spend/waste a lot of time catching up on Natalie Dee comics. I’ve seen some of her craft related stuff before, but this evening I decided to search for them and here are some of the funniest ones. They are also pretty true, at least for me. 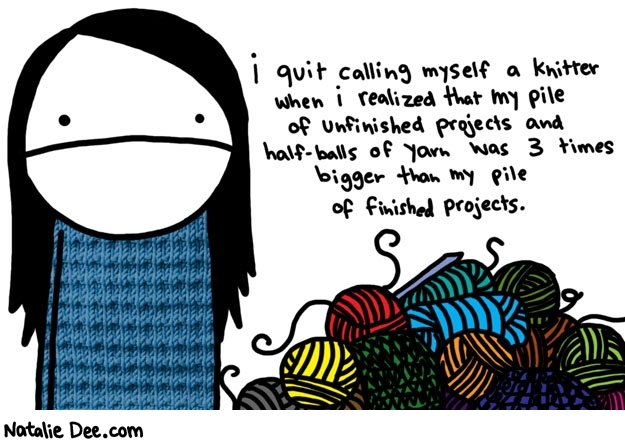 This one reminds me of one of my best friend that always says she’s not crafty. Sometimes the hilarity is in the title. 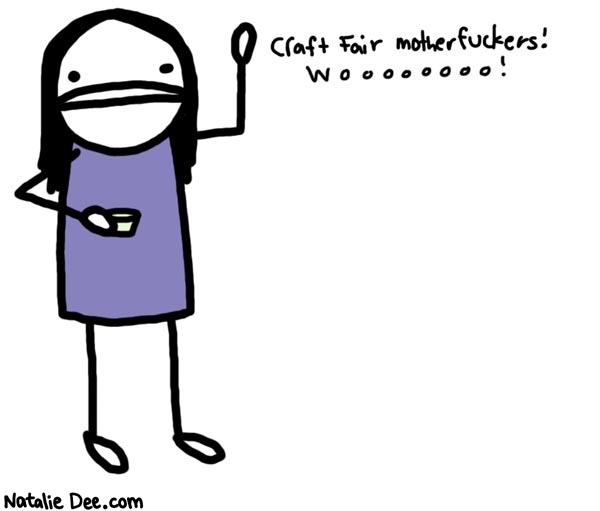 I can very confidently say this would be me if a craft fair served tequila. I want one of these for the immediate gratification factor, and I’m curious to see what a kaftan looks like.